When one thinks of of kitchen carts, the image of something compact usually comes to mind . . . perhaps sized perfectly to hold a microwave oven and not much else. After further investigation, I came to realize that the term "kitchen carts" also applies to larger portable kitchen islands. A kitchen island is much closer to what I had been searching for, which is some place where I can prepare food, where I am able to sit comfortably on a stool, and also where I can store frequently used kitchen items. 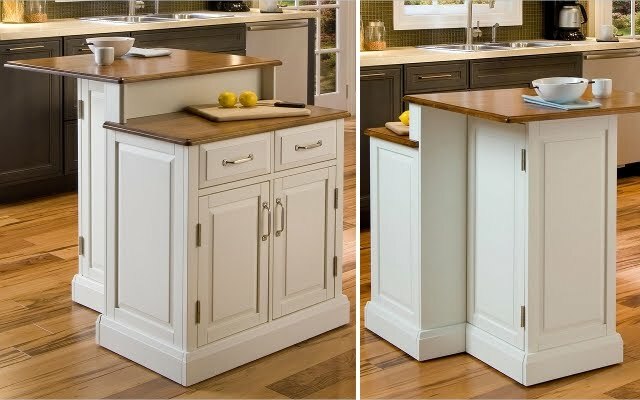 Most kitchen islands are rectangular unless they are closer to the microwave cart category. When I came across this Woodbridge Two Tier Kitchen Island, I just had to share about it. Not everyone has the right space for a large rectangular island. This kitchen island, although still rectangular, is closer to a square shape, so you can have a compact-looking island without giving up much-needed counter space. Other than its unique shape and having two tiers, there is one other major feature I love about this kitchen island. I think it is smart to have the hidden storage shelves accessible from both the left and the right sides. 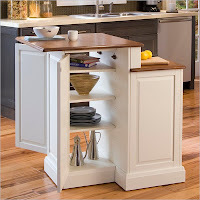 I personally also like that it does not have casters, as many other kitchen islands do. To me, it looks more like a part of the kitchen without wheels. 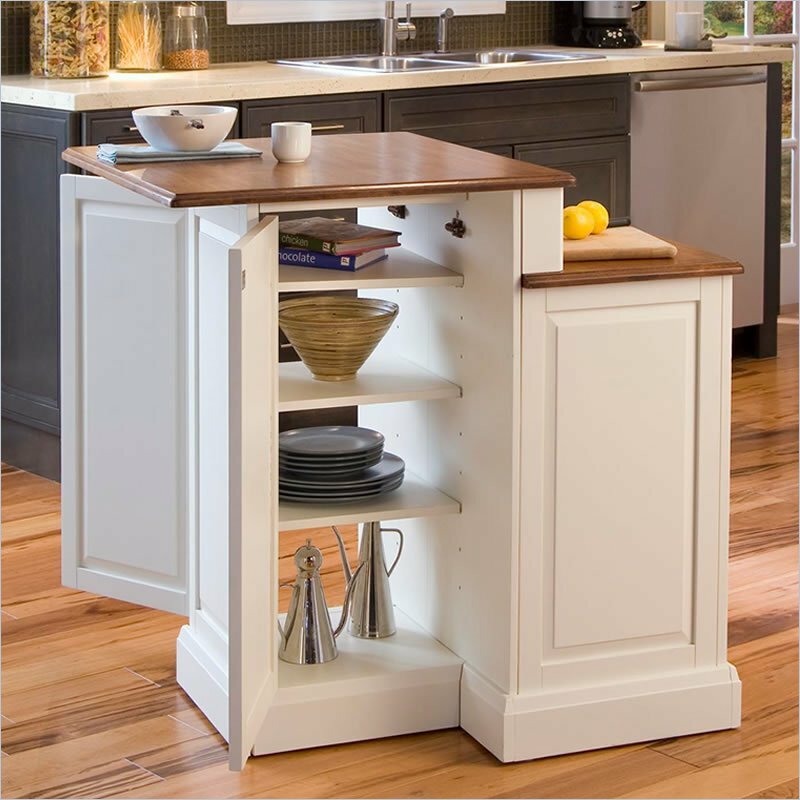 To learn more about the Home Styles Woodbridge Two Tier Kitchen Island, visit MoreKitchenCarts.com, where this item is currently selling for $540 with free shipping.